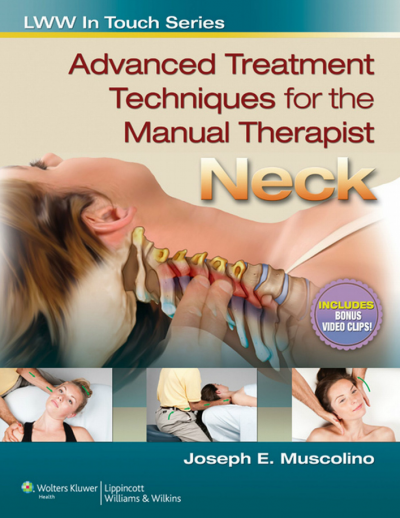 Advanced Treatment Techniques for the Manual Therapist: Neck provides the manual therapist with the tools to effectively treat clients/patients suffering from neck injuries and conditions. 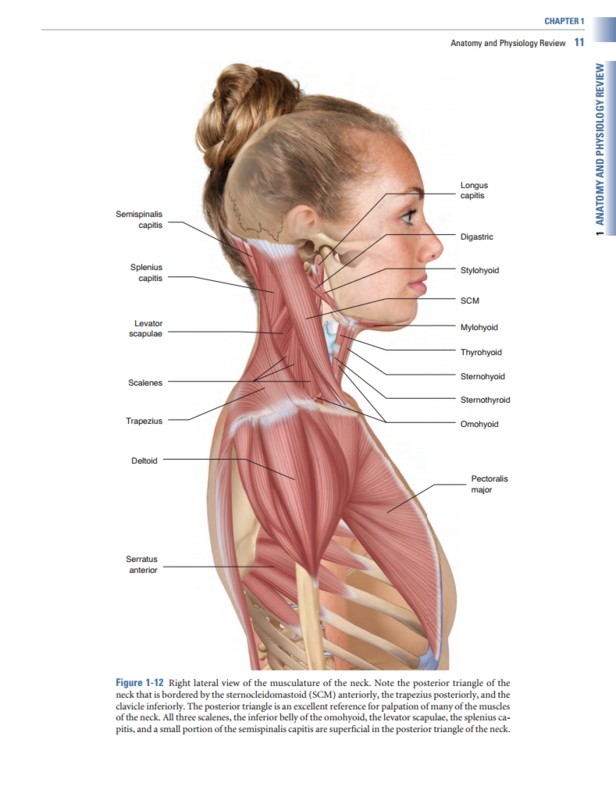 The book begins with an overview of the anatomy and physiology of the neck, common pathologies and conditions, and assessment. Part Two provides a variety of treatment techniques and routines that can be employed by the therapist when treating clients/patients. Part Three covers self care for both the client/patient and therapists, including hydrotherapy. Chapter Objectives, Key Terms, and Review Questions set up, solidify, and structure each chapter’s concepts for optimal reader understanding and retention. Treatment Routines present images and detailed technique explanations for each functional muscle group. 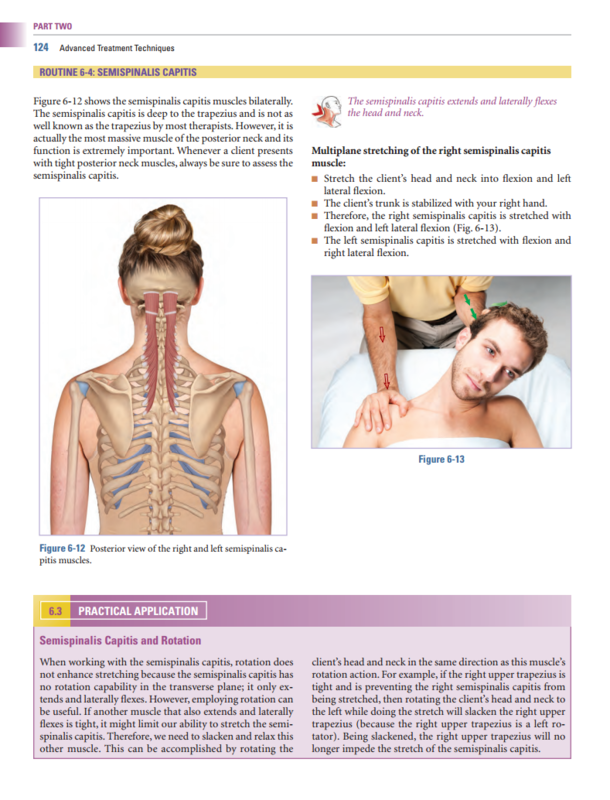 Practical Applications pair with the Treatment Routines to help the practitioner apply the techniques. Therapist Tips throughout the text delve deeper into the treatment techniques. Caution! boxes highlight contraindications or precautions that practitioners must take while performing the techniques. Case Studies with Think it Through Questions bridge the pathologies in Part One with the techniques in Part Two by helping the practitioner apply critical reasoning when assessing their clients. 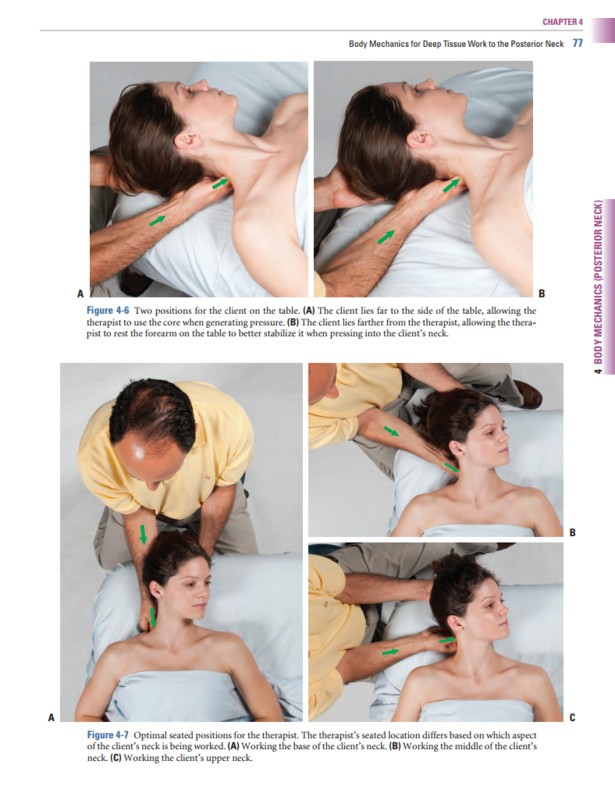 Bound-in DVD contains video clips demonstrating the treatment techniques. Supplements on thePoint include video clips, PowerPoint Presentations, an Image Bank, and a bank of test questions, as well as a free eBook.